I love making my own pickled onions and we love them on this toast. I wish I could take credit for this combo but Martha Stewart thought of it first. It is outstanding and so easy to make. Lunch is ready in the time it takes to toast bread. Toast the bread. Mash the avocado and zest the lemon. Mix together with a dash of salt. 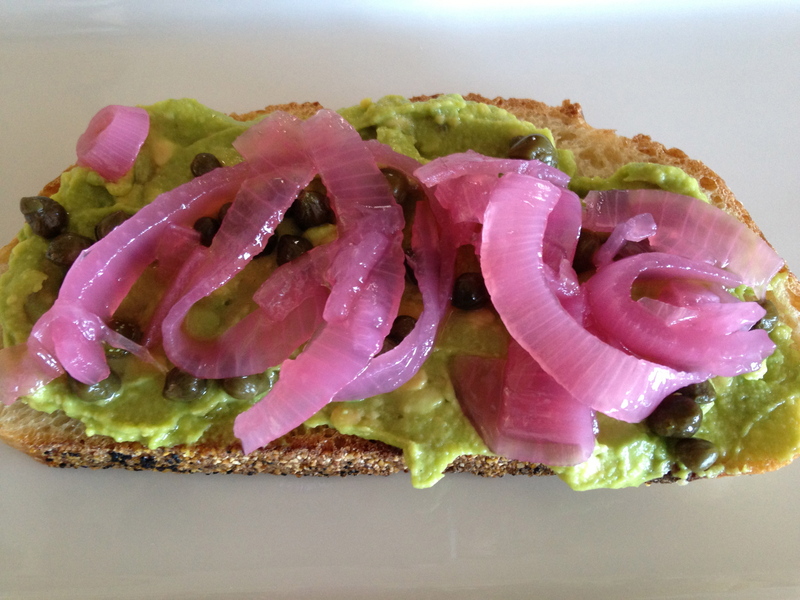 Spread the avocado on the toast and top with capers and pickled onions. Enjoy! I didn’t have time to pickle onions so I put 1 in a wok & carmelized it. It was a great open sandwich & I got 2 eat it twice! my favorite thing is when someone takes a recipe and makes it their own. great idea and glad you posted about it.